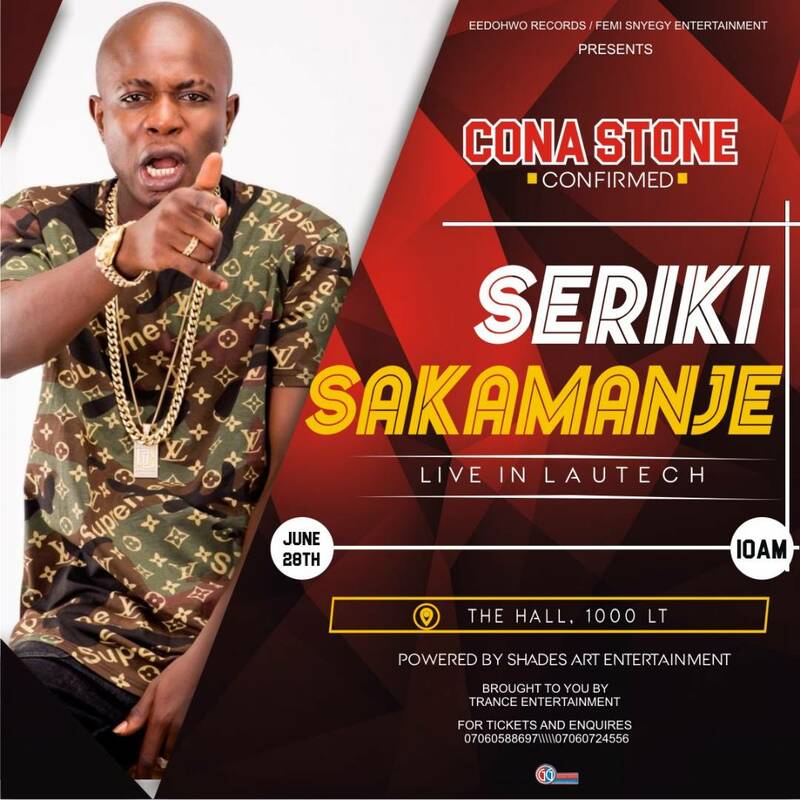 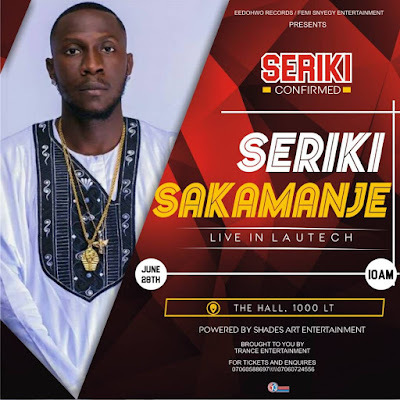 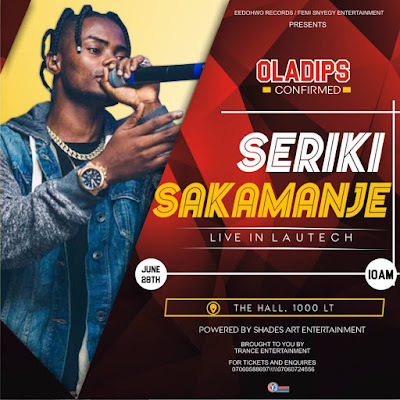 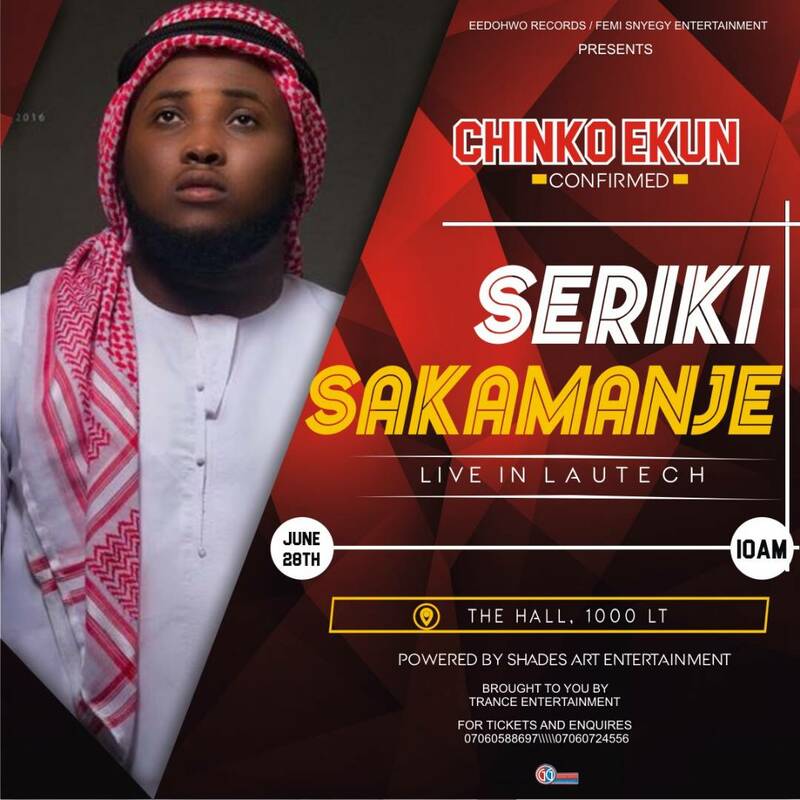 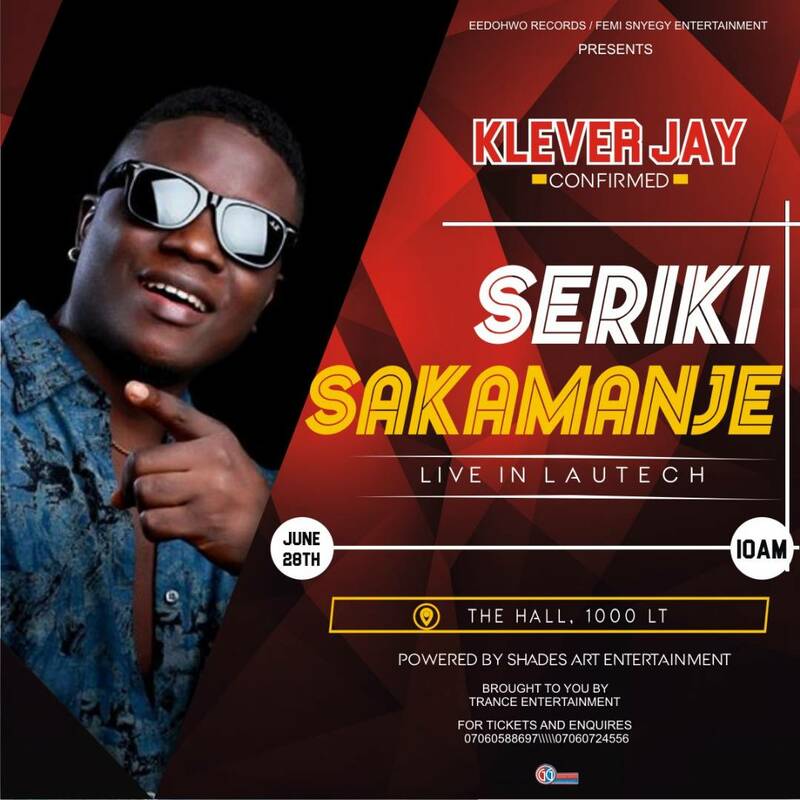 Seriki is set to kick off is Seriki sakamanje tour in Lautech on Thursday June 28 .. 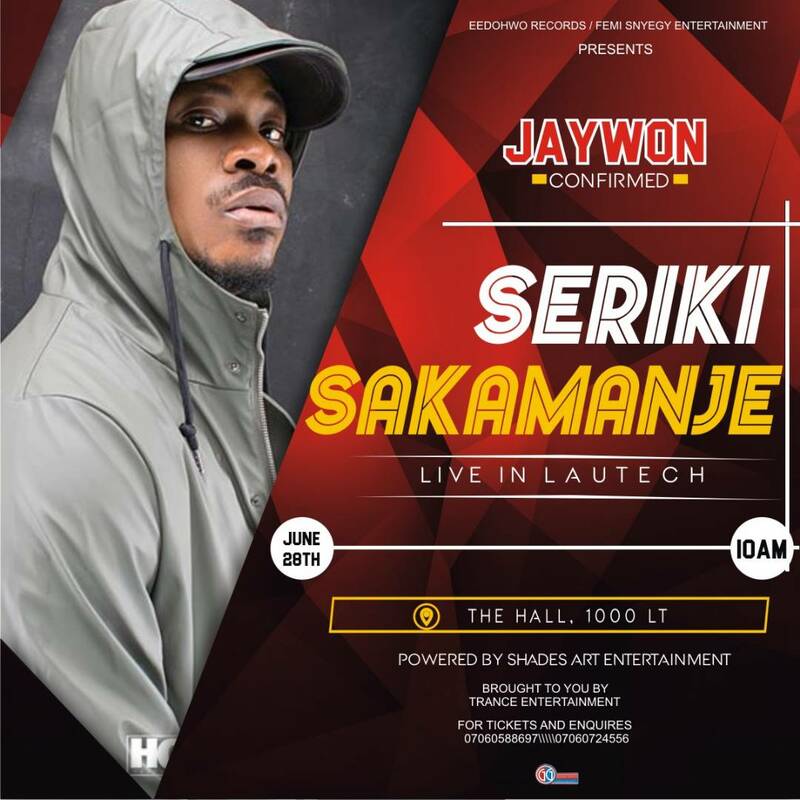 The LAUTECH Edition will feature the likes of Jaywon, Chinko ekun, Ola dips, Klever Jay, ConAStone and many more. 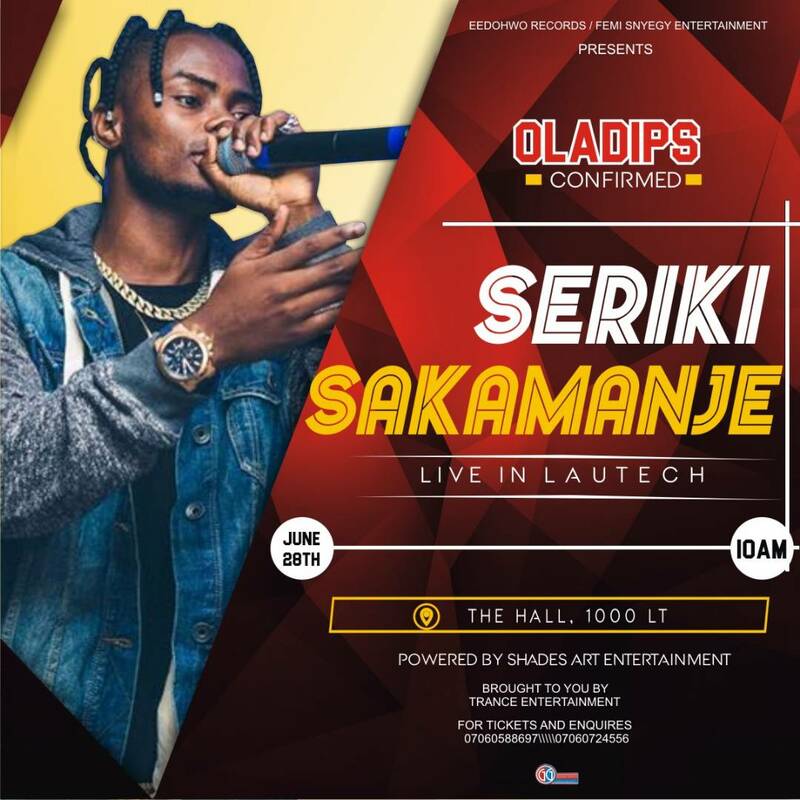 The tour is expected to be one of the biggest campus tour this year with energetic performance from the Sakamanje crooner himself. 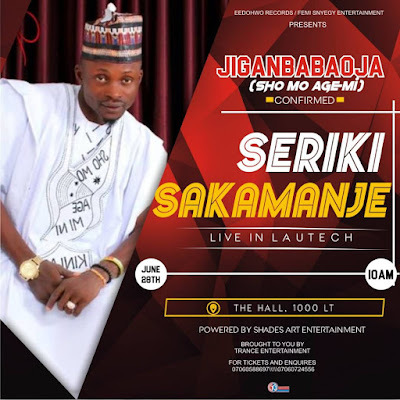 The sakamanje tour is to be experience across different higher institutions in Nigeria .. The tour is proudly organized and Presented by EEDOHWDO RECORDS/FEMI SNYEGY ENT and packaged by SHADES ART ENTERTAINMENT.